Amber & Gold. 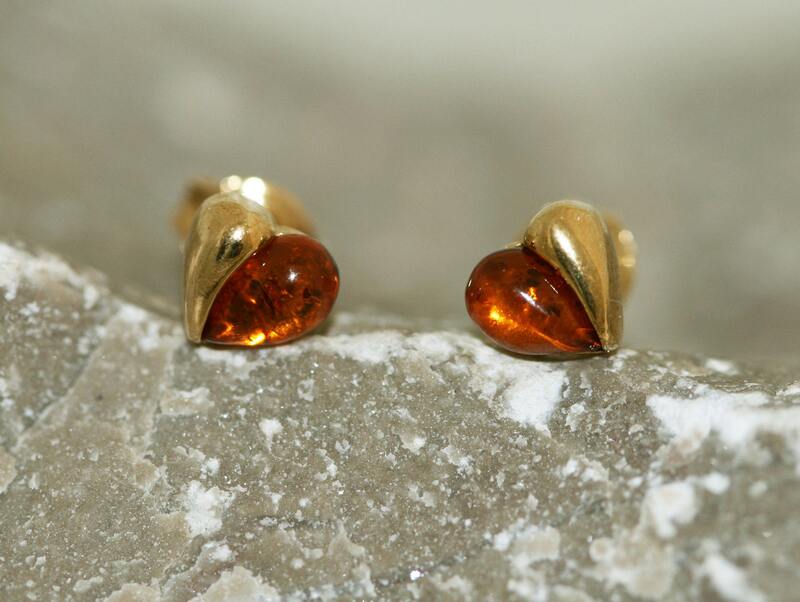 Heart shaped Baltic amber earrings, gold earrings. Valentine's Day gift. 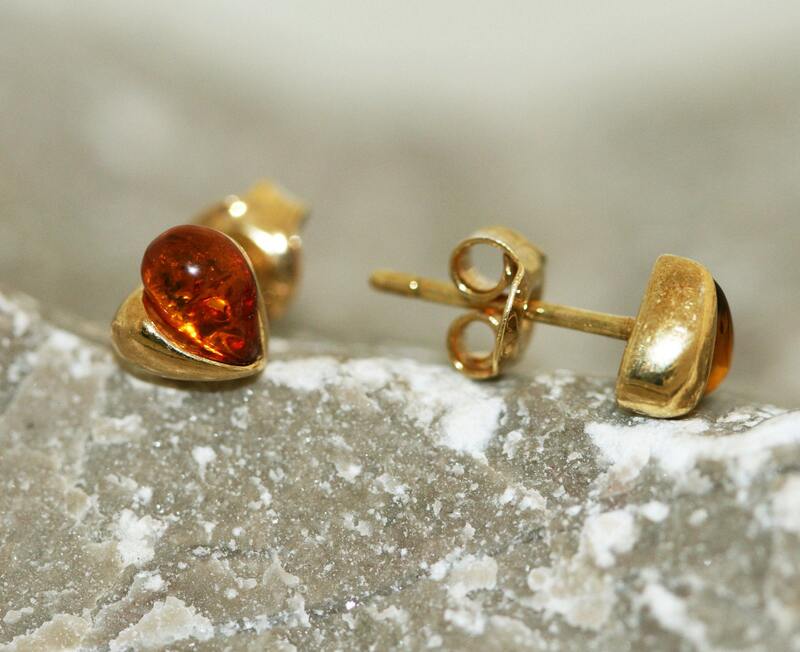 Amber jewelry. Handmade jewelry. Stud earrings. Size of the design: 6 mm length, 6 mm width. Perfectly polished cognac Baltic amber set in 925 sterling silver setting and covered by 14 CT gold layer which is 6 microns thick. This earrings comes with LIFETIME CRAFTWORK WARRANTY for your peace of mind. Gift wrap is also provided.